You miss all sorts of things when you're this far from home. When the weather turned cold, and I started missing my oven. Chinese kitchens don't have them, as most Chinese cooking is done on top of the stop. I the bread I like to bake and how neat it would be if I could give people bread to reciprocate hospitality. 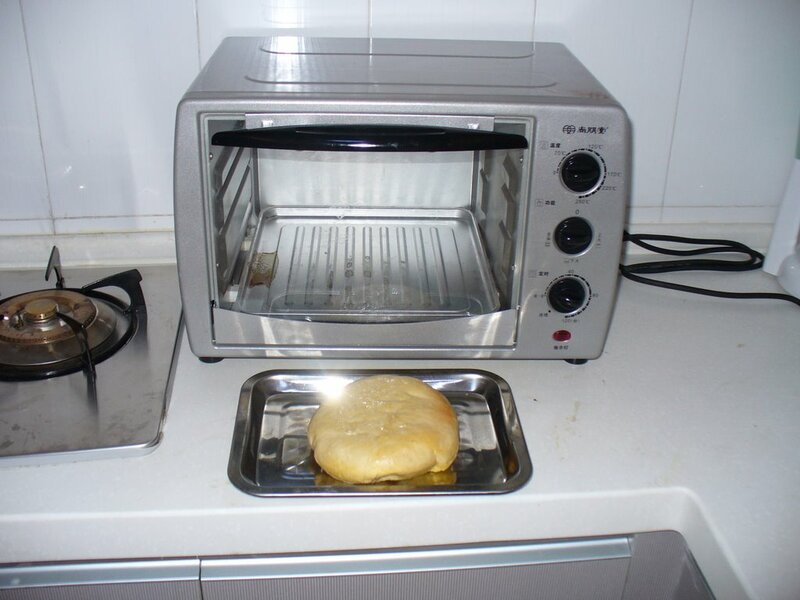 I finally located and purchased a small convection oven in downtown Weihai. I asked my friend James Zhang to write the Chinese words for 'yeast,' 'flour,' and 'sugar' in my trusty notebook. Then I went to the supermarket. The oven is small and a little hard to work with; however it's possible to turn out a reasonably good loaf of bread.